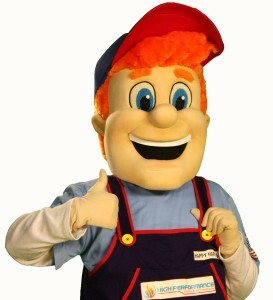 Your heating issue will be fixed correctly the first time, No Exceptions. Fully licensed and insured and fully prepared for any job. No Lemon Guarantee – To see more guarantees, call and schedule an appointment today. All Heating Installations come with full warranties – For details give us a call! Scheduling an appointment with High Performance Heating & Cooling means getting a certified HVAC technician when YOU need it. Our trusted technicians value your time; we guarantee the job will always be completed in a timely manner and to your satisfaction. Call us to book your next HVAC appointment. Your Satisfaction is 100% Guaranteed! Need a trusted Air Conditioning Contractor in Rochester NY? Finding an heating company that you feel comfortable with can be a long process. We’ve made the decision easier for you by providing high-quality air Conditioning installation services at an affordable price. Our highly trained and professional technicians are determined to restore comfort and safety back to your home at a cost-effective price. Our expert HVAC technicians will arrive on time in marked trucks wearing company uniforms. We have so much faith in our technicians, techniques, and customer service that we back each and every service with a 100% customer satisfaction guarantee. 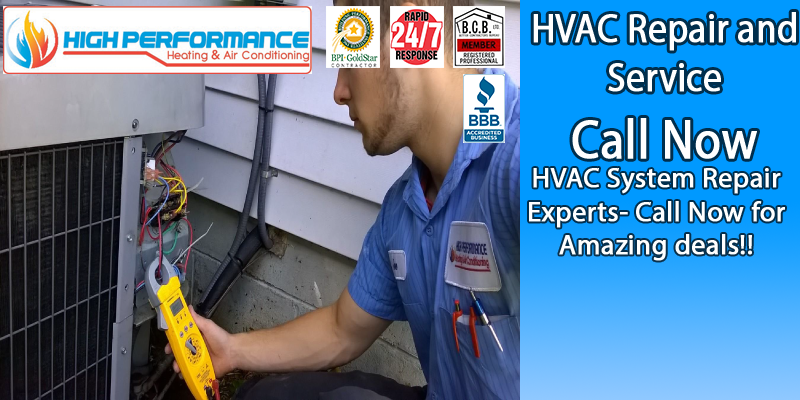 High Performance Heating and Cooling, located in Rochester NY, provides professional AC Replacement services for your Home. We install, repair, maintain, and clean your cooling equipment so that it functions flawlessly during the cooling season. Our Clean and Professional AC Installation technicians will install air conditioner in your residential home or business, keeping you Comfortable at all times. Don’t like making a phone call? No problem! Send us an email with your questions or information to schedule an appointment! One of the biggest questions we get, What does an air conditioner cost? Ahh, the famous question, what does an air conditioner cost? There is never a straight answer to that. A variety of factors go into determining the final price of a central AC Unit and installation. Size of the home, whether the ac is a replacement, or if your furnace or ductwork can accept an ac unit install. The only real way to determine that is to have a qualified HVAC technician to your home to make these determinations. The Biggest factor with any air conditioning system is that it is installed by a qualified, licensed, Company that has a proven track record, The Only answer, High Performance Heating and Air Conditioning. Are you questioning the integrity of your current air conditioning system and looking for replacement options? Whether the cause for concern comes from high energy bills, frequent repairs, slow and inefficient cooling, or simply old age, you can depend on High Performance Heating & Cooling to find the best solution for your needs. High Performance Heating & Cooling knows that buying and installing a new air conditioner is an expensive and important investment. We promise to provide you with honest and effective options for repair or replacement. Our qualified, background checked, and drug tested technicians do not earn commission; we operate on good old-fashioned service mentality. You can trust us to have the expertise and equipment necessary for completing high-quality air conditioning installations and ac replacements in your home or business. If your central air conditioner is over ten years old, it may be time for a replacement. You can reduce your energy consumption by 25-40% by replacing your older, inefficient model with a new, energy-efficient one. Although it may cost more upfront, your monthly savings from reduced energy bills will cover the cost of a new central air conditioning installation. This depends, of course, on a quality installation. Improper HVAC installation could increase your energy bill by 30%. Don’t take that risk with your HVAC system! Give High Performance Heating & Air Conditioning a call today for certified, warranty-backed A/C installation service when YOU need it. Our trusted technicians will provide you with the knowledge and options necessary for making the best decision for you and your family. Regardless of name brands, we understand the principles that compose home heating and cooling equipment in Rochester NY, which gives us the knowledge we need to service all brands. Don’t hesitate to give us a call even if you don’t see your equipment’s brand name on our list. We research and study all makes so that we fully understand how to take care of your equipment in the most efficient and cost-effective way. Our HVAC service technicians will arrive at your door on time and in uniform to provide the quality service, repair, or installation you need. We stand by our workmanship with a minimum of one year labor warranty. For further information concerning our upkeep plan, browse our Maintenance Program! Changing the air filters on your heating equipment once every month can boost its performance to its maximum potential! High Performance is recognized for efficiently completing our work without leaving any loopholes behind. Before we even begin working, we’ll give you full estimates with no hidden charges. Fully certified and highly trained, our professional air conditioning installers have years of experience installing air conditioning equipment and receive daily training to stay up to date on the latest. They’ll treat your house and possessions with the utmost respect. Their first priority? Your cooling comfort.